Such action may execute any windows powershell command and after activation of certain Powershell addins (Exchange, Lync, Azure, Sharepoint), every system operation possible to be performed using PowerShell, may be executed by PowerShell action. For action to work correctly, it is necessary to prepare server on which powershell scripts will be executed. Note! Concerning security issues, option 1 is not recommended! 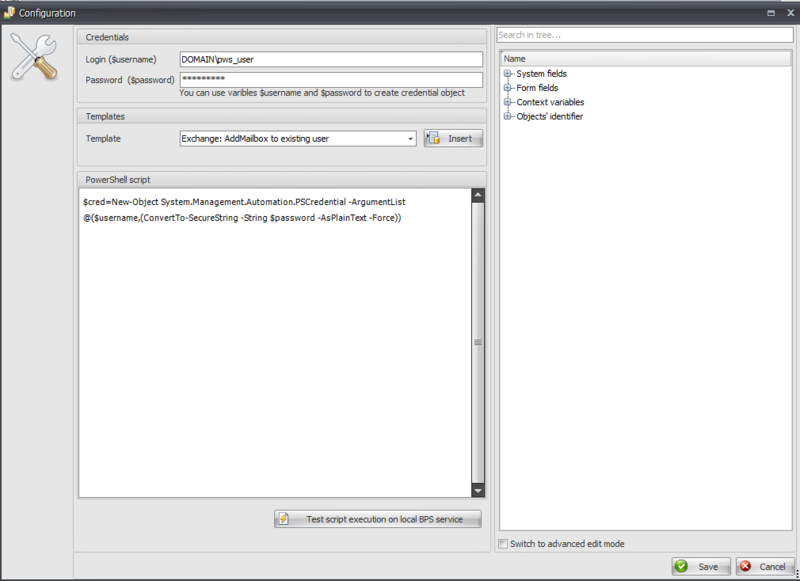 Powershell action is configurable in the same way as other actions available in WEBCON BPS. In “Actions” tab add new action and in “Action kind” field choose “Execute PowerShell script”. 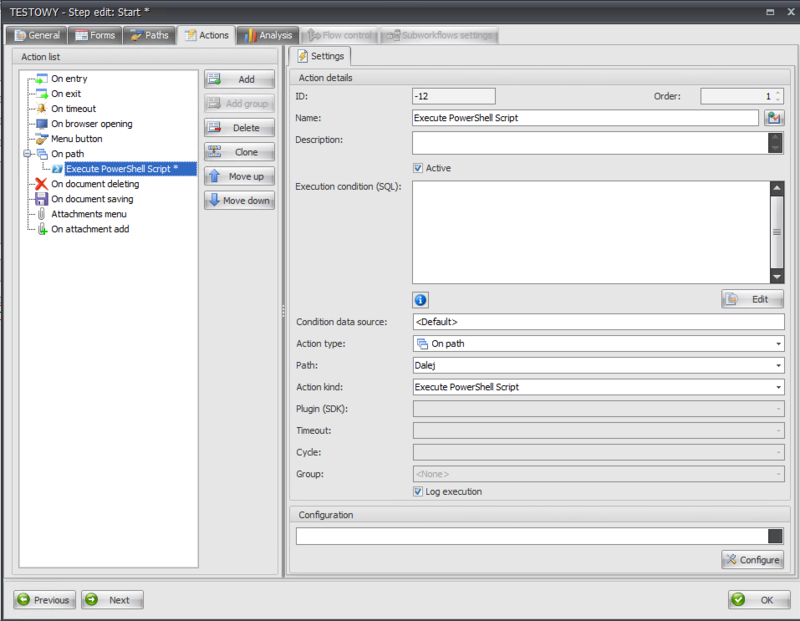 Afterwards go to detailed action configuration by clicking “Configure” button in lower right corner. In “Templates” section, few predefined scripts (examples), allowing for example to Create Exchange account of already existing Active Directory user. “PowerShell script” section allows to enter script which will be executed by action. Script may use tags from choice tree. Test button allows to check if provided script works properly. Note! Script is actually performed in the system! Es ist ein Fehler aufgetreten: Error during asynchronous call. – The caller was not authenticated by the service. – The request for security token could not be satisfied because authentication failed.